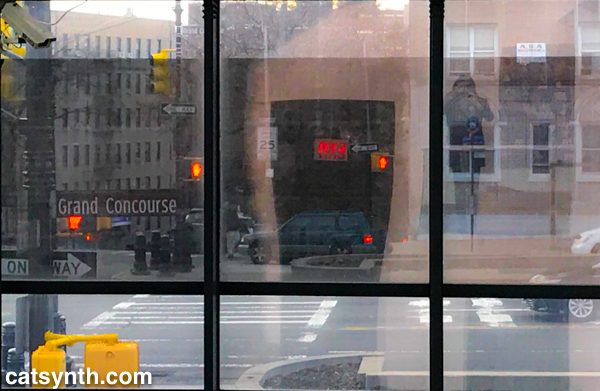 Posted on December 4, 2018 by catsynth	This entry was posted in Art, New York, Photography, Wordless Wednesday and tagged bronx, bronx museum, grand concourse, new york, NYC, Photography, self portrait, Wordless Wednesday. Bookmark the permalink. Fun — I like this. Love how you captured the reflection in this! Wonderful photography!